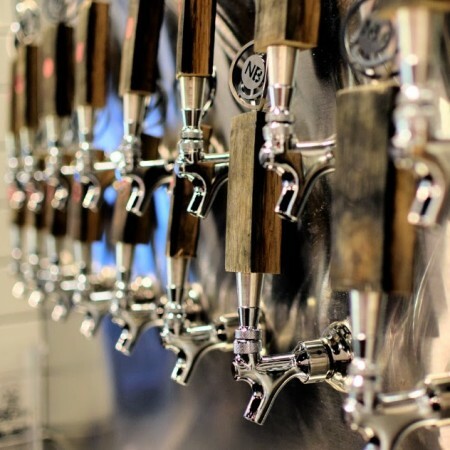 BURLINGTON, ON – Nickel Brook Brewing has announced that after “months of planning, design, permits, demolition, construction and decorating,” it has opened its new brewery tap room and retail store. In addition to regular bar and retail service, the venue will be used for special events, including a Movember wrap party on November 30th, and a Holiday Market on December 15th. The Nickel Brook Brewing tap room and retail store is located at 864 Drury Lane in Burlington, and is open 11:00 AM to 6:00 PM from Sunday to Tuesday, and 11:00 AM to 9:00 PM from Wednesday to Saturday. For more details, see the Nickel Brook website.